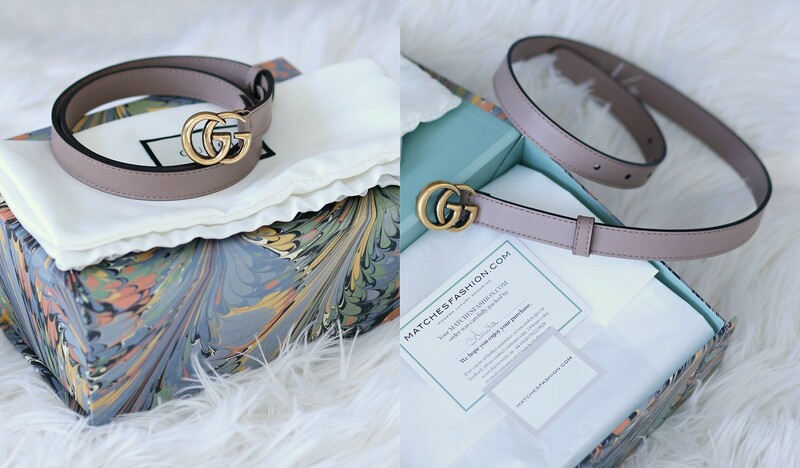 As mentioned in this post, the Gucci belt is one of my top 5 most used luxury pieces. 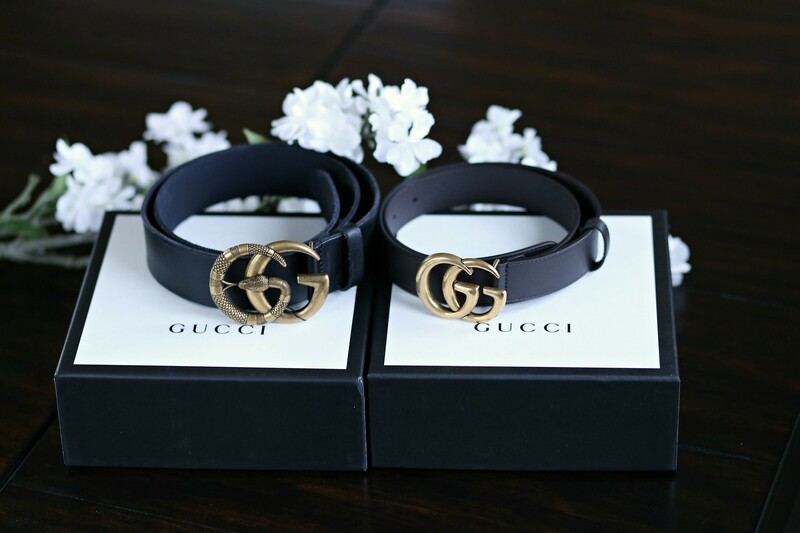 I purchased 4 Gucci belts last year so I thought I'd share a few tips just in case you're interested in getting one for yourself. 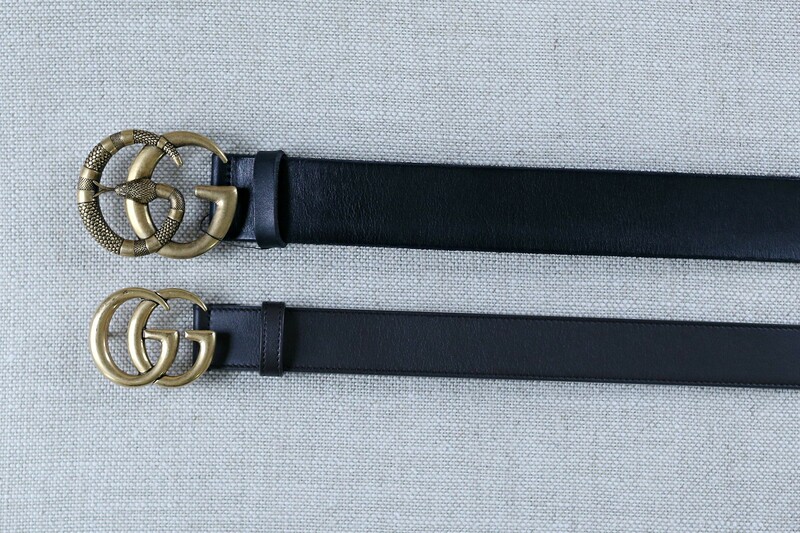 Choosing the right width: The Gucci Marmont belt is available in 3 widths: 0.5", 1" and 1.5" (the most popular version). It all depends on your personal preference but the 1" version works best for me. I purchased the 1.5" version with a silver buckle last year and decided to send it back. The buckle was way too big on me. I understand it's a statement belt but the buckle was just way too big for my liking. My sister in law in the other hand, loves the wider-width version. She purchased this Gucci Marmont snake belt a few weeks ago. I snapped a few pictures to show you the differences between the two. The snake version is a bit more expensive but she likes that fact that it's unique and different than the regular Marmont version. I also purchased the thin version last year but ended up sending it back as well. If you're looking for a thin belt to define your waist, this is a great option. However, it doesn't work well as a hip belt. Since I use my Hermes belt as a waist belt, there is no need for another thin belt. Choosing the right size: I am typically a size 24/25 in jeans and the size 75 works perfectly for me. There is just enough amount of "extra belt". My SIL likes to wear mid/low rise jeans and she got hers in the size 80. An easy way to determine belt size is to simply add 2" to your normal pant size. For example, I wear a size 24/25 in jeans, a 27" belt would be a good fit for me. To measure a belt, start at the middle hole and measure to the end of the belt. Mine measures exactly 27". This belt features 5 holes so you can easily adjust to fit your needs. Choosing the right hardware: If you've been following my blog for awhile, then you know I usually tend towards silver hardware. However, I must say the silver-tone buckle on the Gucci belt looks very cheap. Most people go with the gold buckle which is a much better choice. - If you can't find your size online, use the "find in store" feature. It's actually very accurate and helpful. You can locate your size quickly.